Welcome! 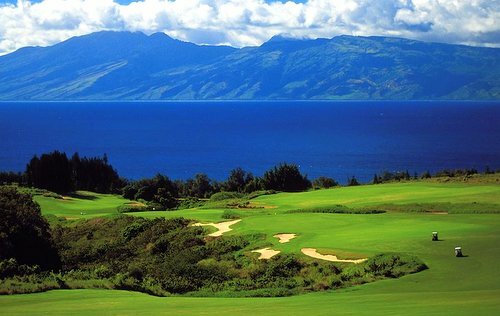 Here you'll find many of our more recent popular golf resorts, vacations and package. 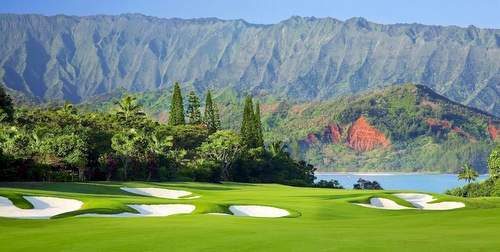 You may like to focus on specific locations with our Costa Rica Golf Holidays, Hawaii Golf Resorts, Michigan Golf Resorts and the Scottsdale Arizona Luxury Resort options. Enjoy an Arnold Palmer designed course complete with strategically placed howler monkeys that await you. 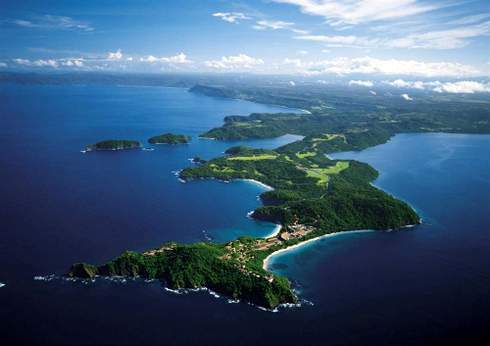 More information and reviews of the top Costa Rica Golf Resorts. VIDEO: Want to Hear a Howler Monkey Howl? Costa Rica Howlers Sound Off? Amazing Sandals Golf Vacation Offer: Sandals are well known for their luxury all inclusive resorts attached to magnificent golf courses. Sandals Resorts are home to many of the top golf courses in the Caribbean. 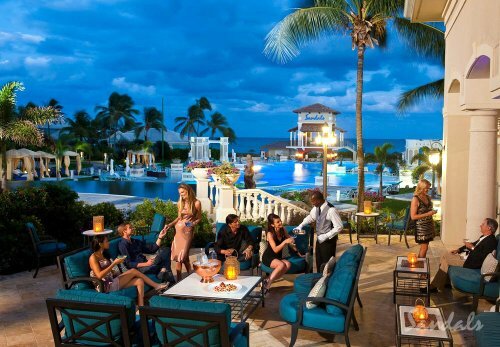 At Sandals you can enjoy unlimited golf in Jamaica, Saint Lucia and the Bahamas. 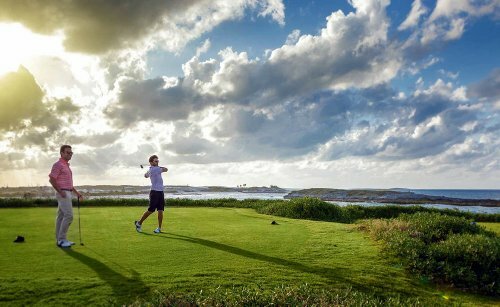 In this video get an idea of the Greg Norman designed Emerald Reef Golf Club in Great Exuma. Sandals resorts special offer: Experience the Caribbean's most challenging golf on beautiful and prestigious courses! Golf: This course is the "annual home of the PGA Tour's season- opening Mercedes-Benz Championship." It's on a pineapple plantation. There are 2 18-hole courses with great views. It's suitable for all skill levels of golfers. See the latest reviews and get more information for the Ritz in Maui. A fabulous beachside Brazil golf resort. Complimentary cabanas and lots of beach activities await for your time away from the golf course. Big pools, free water parks, a full service spa and a different restaurant or bar each night fill out a well rounded resort. The Hotel Transamérica Ilha de Comandatuba made the list for South America this time round. 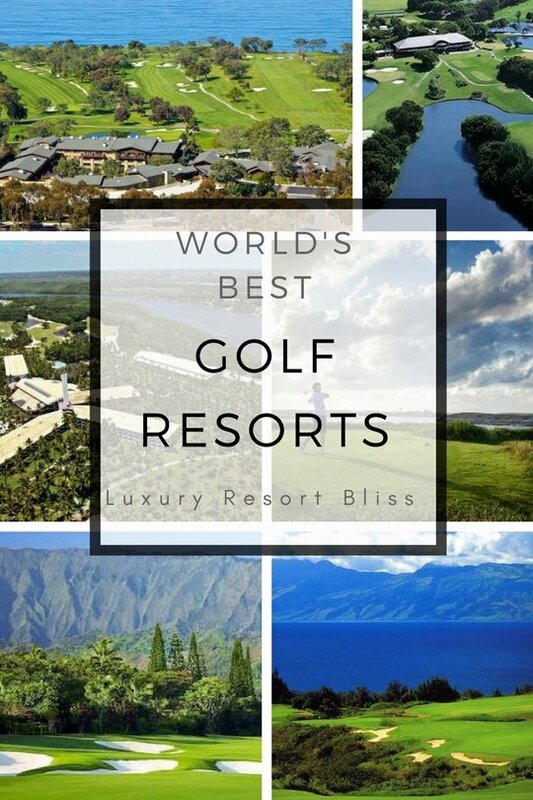 Check out the video to find out more on this outstanding golf resort. A top resort in a golf crazy location. The par-72, 18-hole course designed by Tom Weiskopf is a key aspect of this resort. 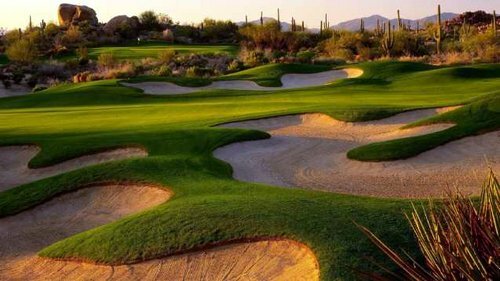 See reviews of this resort and other great Scottsdale Golf Resorts. 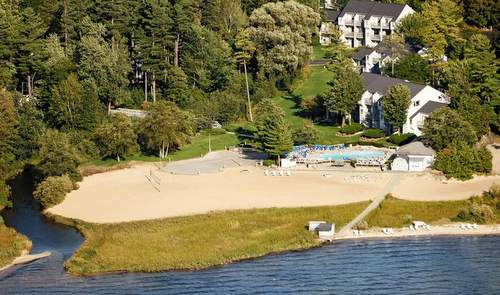 Recently renovated, this resort is near Traverse City, Michigan. It's got 3 championship golf courses, a full-service spa, an indoor water playground and is close to Turtle Creek Casino. There are 600 rooms in the 17-story glass Tower, the hotel and the condos. The beds are noted as being especially great. More golf resorts in Michigan. 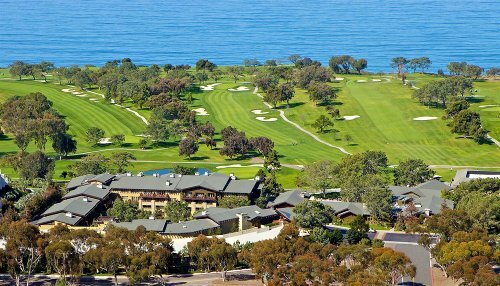 The championship Golf Course at the Lodge At Torrey Pines in La Jolla you may recognize as the home of the 2008 U.S. open. 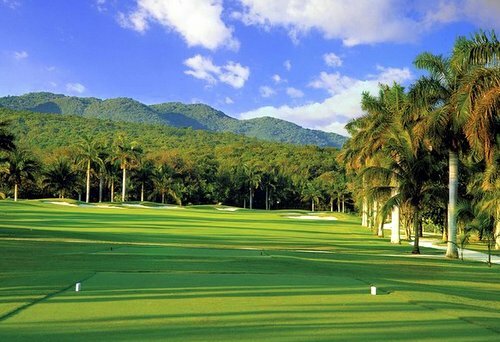 Half Moon is touted as the original Caribbean, golf resort and has regularly been called Jamaica's best Golf Resorts by golf authorities. This is a Robert Trent Jones Sr. There are also a number of other golf courses and facilities in this Golf rich location. More all inclusive resorts in the Caribbean. 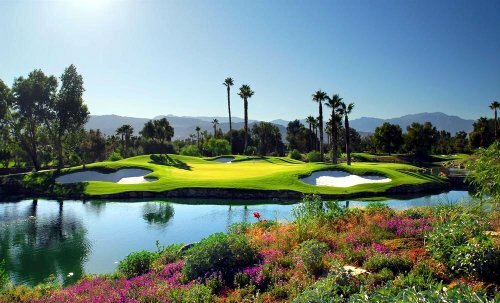 Palm Springs is one of the top Golf Locations on the West Coast with some spectacular golf resorts. Not the least of these is the Hyatt Grand Champions Resort, Villas and Spa. I used to work at this resort so perhaps there is a little bias here. But then again it has hosted the Australian PGA for a while. Time will tell if the new owner messes this up for good, which he is currently in the process of attempting. 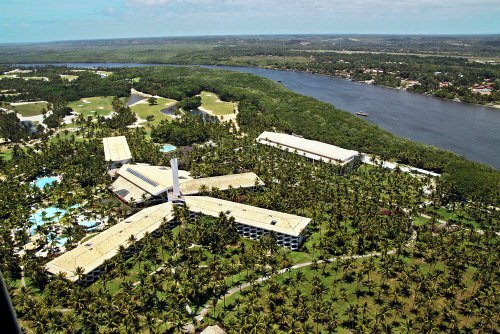 While not the most polished looking resort these days it is a good choice for a golf vacation. 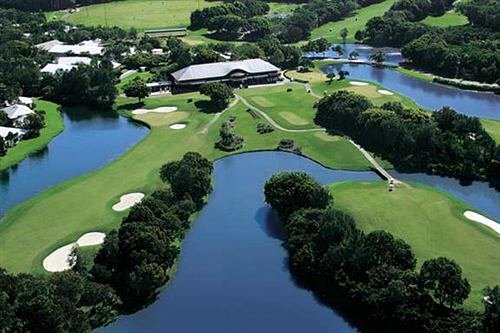 More on the Hyatt Coolum Golf resort. Now Palmer Coolum.